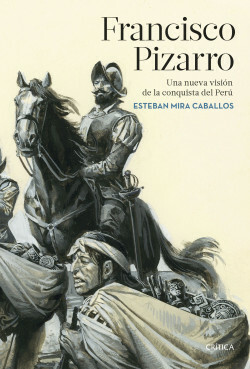 This is a truly innovative book that tells us the life of Francisco Pizarro, the conqueror of Peru, within the framework of a more realistic approach of the conquest, which does not simply list the deeds of the victorious but narrates its miseries and does remember the sad fate of the defeated. Esteban Mira Caballos, author of an extensive research on the conquest, studies the life and personality of Francisco Pizarro, rescuing him from a biased literature that either raises him as a hero or denigrates him as a tyrant. At the same time, Esteban describes the Gesta that allowed him to conquer the Inca Empire of Tahuantinsuyu against a small resistance, and how ambition for power and greed for gold led to bloody clashes between the victorious. A new approach on the conquest of Peru. A charismatic individual, with intricate origins and a personality worthy of studying.